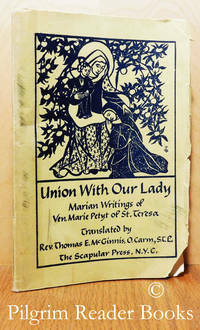 Union With Our Lady; Marian Writings of Ven. Marie Petyt of St.Teresa. By Venerable Marie Petyt of St. Teresa. New York. : The Scapular Press.. Fair. 1954. Soft Cover. 8vo - 23 x 15.5 cm. ; (2) - 75 pp. Yellow waps with black lettering and art work in a saddle stapled binding. Translated from the French and arranged by Rev. Thomas E. McGinnis OCarm. 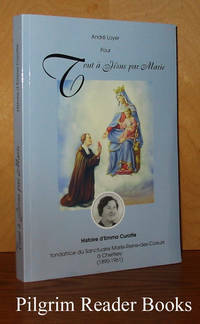 Marie Petyt of St. Teresa was a lay third order Carmelite in Belgium in the seventeenth century. The majority of the translated writings here are taken from her letters to the Venerable Michael, a Carmelite of St. Augustine, Belgium. The text block itself is quite sound and clean with some dog eared creases on the corners of a few pages. The covers are now held together by clear tape on the spine and the yapped (overhanging) fore edges are quite chipped. Previous owner's name on the first page, a blank one. A clear and removable archival cover has been fitted. . 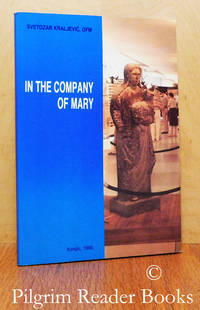 In the Company of Mary: A Reflective Search of Medugorje. Konjic, Yugoslavia. : Parish Office Konjic (Parish Office).. Near Fine. 1990. Soft Cover. 8vo - 20 x 13.5 cm. ; 151 pp. 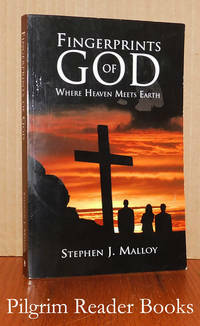 First published in 1988 by St. Francis Press of Nashville, Tennessee, this is the second and revised edition. Translated into English and edited by Jozo Kraljevic and printed in a run of 3000 copies. The author considers the events at Medugorje using biblical norms and teachings all with the journey of faith as being a pilgrimage with Mary. Minor wear and light scuffing to the covers, otherwise clean with a sound binding. .
Chicago, Illinois. : Franciscan Herald Press.. Very Good. 1960-1979. Hardcover. 4to - 27 x 21 cm. ; Twelve volume set of this periodical published in hardcover form from 1960 to 1979. A collection of articles on Mary, Mother of God, in various aspect of culture - shrines, history, devotions, Mary gardens, Marian stamps, literature, etc. Volume I was published in paper-covered boards, the other eleven were in cloth-cover ed boards, creating more durable volumes. Many b/w photos. An important contribution to Marian culture. Volume I in this set has a tape repaired spine, cover is soiled, light edgewear to boards, otherwise, a sturdy and interiorly clean volume. The rest of the set are in uniform condition, that is, with light soiling on covers and minor edgewear; all have sturdy bindings and are clean inside. . 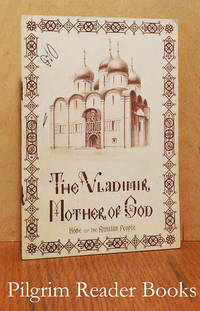 The Vladimir Mother of God: Hope of the Russian People. By Mailleux SJ., P. A. and E. S. Stanton SJ. New York. : Fordham University.. Very Good. (1960). Softcover. 16mo - 15.5 x 11 cm. ; 28 pp. Published by "One Fold Books" of the Russian Center at Fordham. Light beige wraps with dark brown lettering and decorations in a saddle stapled binding. First published in 1960, this is the fifth (later) edition. 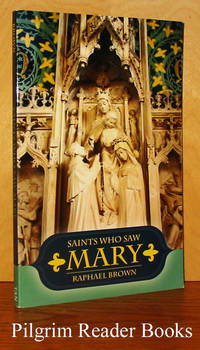 Illustrated with 2 full colour reproductions, 7 sepia toned photographs and a map on the inside of the front cover. The interior is clean, the binding is sound while the covers are very lightly worn. The back cover is soiled and the front cover has 2 pen scribbles on it. 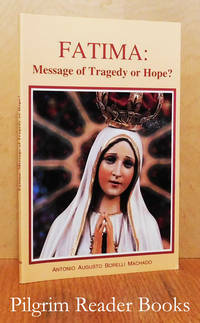 The shipping cost for this small item will be reduced after it is ordered. .
Fatima: Message of Tragedy or Hope? By Machado, Antonio Augusto Borelli. Toronto, Ontario. : Canadian Society for the Defence of Tradition, Family and Property. Near Fine. 1995. Softcover. 0969933711 . 8vo - 20 x 13 cm. ; 92 - (4) pp. Approbations present. Foreword by Plinio Correa de Oliveira. Illustrated with both black and white and colour photographs, footnotes throughout, and a 2 page bibliography. A clean, tight copy with only very minor wear to the edges of the covers. . 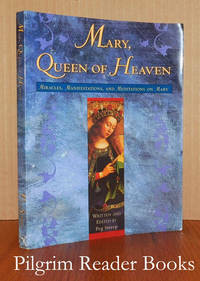 Missing Mary: The Queen of Heaven and Her Re-Emergence in the Modern Church. New York. : Palgrave Macmillan.. Fine in Fine dust jacket. 2004. First Edition. Hardcover. 1403963983 . 8vo - 21 x 13.5 cm. ; (8) - 280 pp. Beige paper over boards with white lettering on the spine. 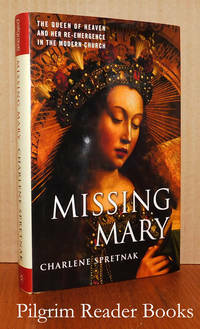 From the dust jacket: "Spretnak, a liberal Catholic, sheds new light on the dethroning of Queen of Heaven at Vatican II, and she traces the rise of a grassroots resurgence of Marian spirituality in recent years." Twelve pages of notes, 9 page listing of related resources, and a 7 page index. The book appears to have been used very little if at all. .
Mary, Queen of Heaven: Miracles, Manifestations, and Meditations on Mary. New York. : Quality Paperback Book Club.. Good+. 1997. Softcover. 8vo - 23 x 17.5 cm. ; 223 pp. Illustrated with 24 full colour plates of reproductions. Two page select bibliography. The library markings, none of which are external, are a stamp on the first (half title) page and attachment remains on the inside of the back cover and the verso of the last page. Otherwise clean with a sound binding and having mild to moderate wear to the fore edges of both the front and back covers. .
First Lady of the World: a Popular History of Devotion to Mary. New Rochelle, New York. 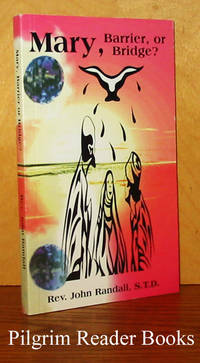 : Don Bosco Publications.. Very Good. 1988. Softcover. 0899440916 . 8vo - 22.5 x 15 cm. ; xi - 192 pp. 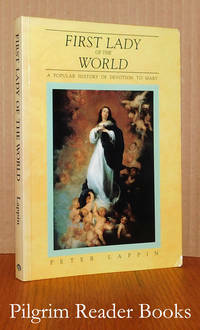 One two part appendix, "Feasts of Our Lady in the Roman Rite . . . in the Catholic Eastern Rites", 2 pages of notes, 5 page bibliography and 4 page index. The library markings, none of which are external, are a stamp on the title page and attachment remains on the blank verso of the last page. Otherwise the interior is clean, the covers have mild edge wear and the spine is a tad faded. .
Fingerprints of God: Where Heaven Meets Earth. By Malloy, Stephen J. (edited by Barbara L. Camenga). Bloomington, Indiana. : iUniverse.. Very Good. 2012. Softcover. 9781475945935 . 8vo -m 21.5 x 14 cm. ; xlv - 231 pp. Malloy chronicles the reported miracles and extraordinary activity that has occurred in Medjugorje since the beginnings in the summer of 1981. Sixteen pages of end notes and 5 very short appendices. Illustrated with a few black and white photographs. Minor wear to the cover edges and some light soiling to the text block fore edge, otherwise clean with a solid binding. .
Cincinnati, Ohio. : St. Anthony Messenger Press.. Fine. 1999. Softcover. 0867163305 . 8vo - 21.5 x 14 cm. ; xi - 187 pp. 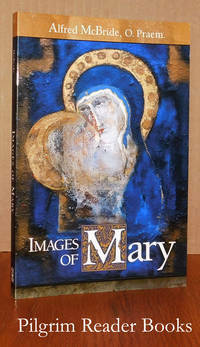 "With insightful historical commentary and beautiful illustrations, Alfred McBride explores ten images of Mary and explains their evolution and influence. Those ten are The Mystery of Mary, Woman of Faith, The New Eve, Mother of God, Ever Virgin, Immaculate Conception, Glorious Assumption, Christ's Disciple, Mary of the Appearances, and lastly Mother of the Church. An as-new and unused book. . 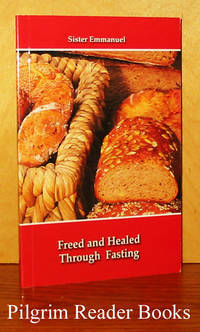 Freed and Healed Through Fasting. Medjugorje, Bosnia & Herzegovina. : Les Enfants de Medjugorje.. Near Fine. 2009. Softcover. 12mo - 17 x 11 cm. ; 88 pp. "Fasting is one of the most powerful remedies [to life's troubles] that Our Lady teaches in Medjugorje." Sister Emmanuel is a French member of the Beatitudes Community, and lives in Medjugorje. The covers have some mild edge wear and light scuffing, else fine. The shipping cost for this small item will be reduced when ordered. .
Ottawa, Ontario. : Koinonia Enterprises.. Fine. 1997. Softcover. 12mo - 18 x 11 cm. ; (4) - 128 pp. The book grew out of a retreat that Fr. 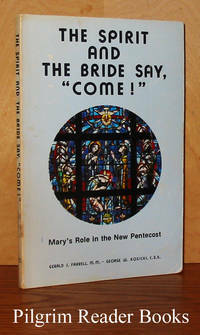 Randall gave for priests on Mary in the late 1980's and subsequently to lay people resulting in growing call for the retreat to be put into a book form. This is as-new and unused book. . The Spirit and the Bride Say, "Come! ": Mary's Role in the New Pentecost. By Farrell MM., Gerald J., and George W. Kosicki, CSB. Asbury, New Jersey. : AMI Press.. Good. 1981. First Edition. Softcover. 0911988416 . 8vo - 21 x 13.5 cm. ; xv - 101 - (11) pp. The authors "have taken Pope John's prayer for a 'new pentecost' and have examined the Catholic charismatic renewal in that context." Moderate wear to the covers and the spine is faded. . Mother of the Secret: From eucharistic miracles to marian apparitions, heaven has sought to illunminate and defend what was once the Church's greatest secret. Santa Barbara, California. : Queenship Publishing.. Very Good+. 1997. Softcover. 1579180035 . 8vo - 21.5 x 14 cm. ; xxvi - 300 pp. 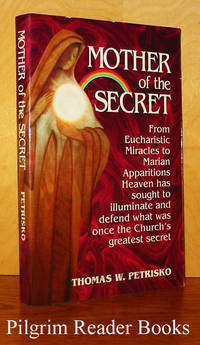 Dr. Petrisko documents the history of the Church's belief in the True Presence of the Eucharist. Eight pages of footnotes and an 8 page bibliography. 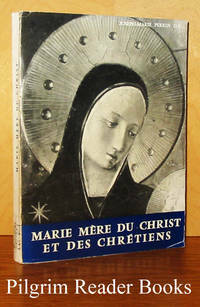 Slight edge wear to the covers and a small bump on the back fore edge corner at the top, otherwise fine. .
Marie mère du Christ et des chrétiens. Paris, France. : Desclee de Brouwer.. Very Good. 1961. Softcover. 12mo - 18.5 x 13.5 cm. ; 172 - (4) pp. The text is in French. One of the volumes from the series "Cahiers de la pierre qui vivre" from this publisher. Illustrated with 4 full page black and white reproductions. Two appendices: "Le rosaire bréviaire des fidèles" and "saint Jospeh". The library markings are a number on the lower spine and library stamps on the first page and on the title page. Mild wear and soiling to the covers, otherwise clean with a sound binding. .
Charlotte, North Carolina. : Tan Books / Saint Benedict Press.. Very Good. 2012. Softcover. 9780895555069 . 8vo - 21.5 x 14 cm. ; x - 145 pp. First published in 1955, this is a later reprint. The stories come from the lives of 17 saints; St. Gregory the Wonderworker, St. Meinrad and St. Conrad of Constance, St. Bernard of Clairvaux, St. Francis of Assisi, The Seven Servite Saints, St. Simon Stock, St. Mechtilde, St. Gertrude, St. Bridget of Sweden, St. Catherine of Siena, St. Bernardine of Siena, St. Frances of Rome, St. Nicholas of Flüe, St. Ignatius of Loyola, St. Teresa of Avila, St. John of the Cross and St. Catherine Labouré. Several black and white illustrations within the text. A few unobtrusive check marks next to various chapter titles - I am not sure why. Otherwise very clean with a tight binding. . 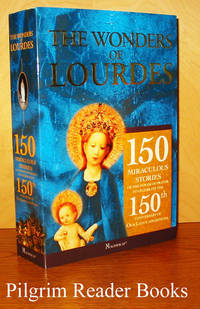 The Wonders of Lourdes: 150 Miraculous Stories of the Power of Prayer to Celebrate the 150th Anniversary of Our Lady's Apparitions. Yonkers, New York. 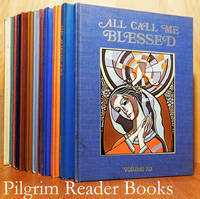 : Magnificat Press.. Near Fine. 2008. Softcover. 9780979808616 . 8vo - 24 x 16 cm. ; 636 - (4) pp. Full colour glossy covers with french folded flaps on the fore edges. Contributions from 22 authors relate stories and events from the very first apparition to the present day. One appendix - a 15 page timeline from 1830 to 2008. Seven page index of proper names. The covers have very minor wear and light scuffing best seen in reflected light, otherwise the book appears as-new. .
Marie: Mère de la rédemption, Approches du mystère marial. Paris, France. : Editions du Cerf.. Very Good. 1963. Hardcover. 12mo - 19 x 12 cm. ; 188 pp. 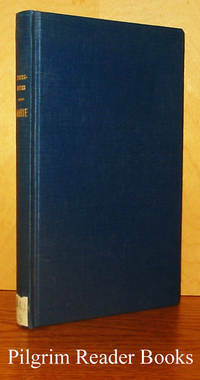 A softcover rebound in blue cloth over boards with gilt lettering on the spine. The original covers are bound in also. Translated from the Dutch by Bruno-H. Vandenberghe OP. Three page bibliography. The library markings are a label on the lower spine and a small Dominican library stamp on the original cover and the title page. Minor tanning to the page margins and the externals show only a whisper of shelf wear. . 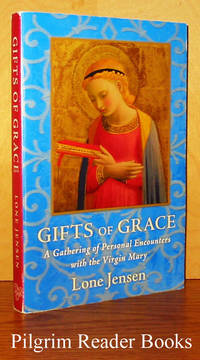 Gifts of Grace: A Gathering of Personal Encounters with the Virgin Mary. New York. : Rayo / Harper Collins.. Very Good. 2004. Softcover. 0060566957 . 8vo - 20.5 x 13.5 cm. ; vii - 242 pp. From the back cover: ". . . gathers together . . . examples of the Virgin Mary's powers, revealing how she comforts and protects both believers and skeptics, curing their bodies, bringing peace to their minds, and healing their souls." Minor wear to the covers with a clean interior and a solid binding. .
Histoire d'Emma Curotte: Fondatrice du sanctuaire Marie-reine-de-Coeurs à Chertsey. 1890-1961. (Tout à Jésus par Marie). Repentigny, Quebec. : Editions Marie-Reine.. Fine. 2008. Softcover. 298061081X . 8vo - 20.5 x 14 cm. ; (12) - 268 pp. The text is in French. Illustrated with a few black and white photographs. An as-new and unused book. .